Very recently Russia mended its broken relations with Turkey. Turkey considers Bosnian Muslims/Bosniaks as its brothers. Russia is desirous of wielding influence in order to stop EU expanding to Eastern Europe where Russia keeps building its influence. In efforts to strengthen its hold on southeastern Europe the EU would like Bosnia and Herzegovina (BiH) to become a member of the EU and has in past few months depended upon Croatia quite a bit to assist BiH on its path to EU membership. Comes 31 October 2016 and Croatia’s ability to influence BiH’s path to the EU suddenly seems drastically affected by the arrest in Orasje, a northeastern BiH town bordering with Croatia, of 10 Croats of Croatia/BiH dual citizenship for alleged war crimes that allegedly happened almost 25 years ago. Croatian politicians and public media have been preoccupied with protesting against and commenting these arrests during the past week. 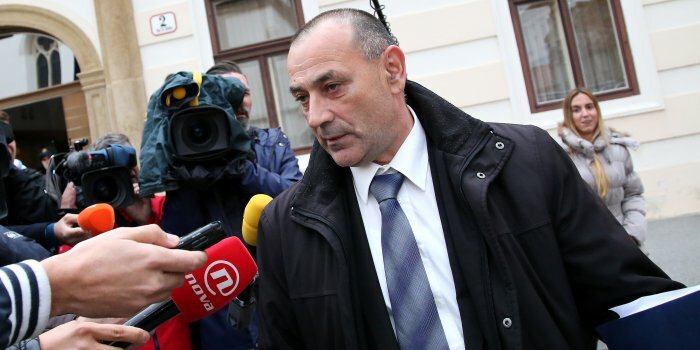 It appears the arrests have a greater political significance as implicating Croatia in the chain of command in these alleged crimes than in actually naming or listing individualised and specified crimes alleged in the indictment issued by BiH state prosecution. In about April 1992 when Serb led forces and rebels started bombing and attacking the town of Orasje and its surrounding clusters of villages – an area with majority Croat population situated at the northeastern border of Bosnia and Herzegovina with Croatia, the time ahead demanded that the town and its people be defended. 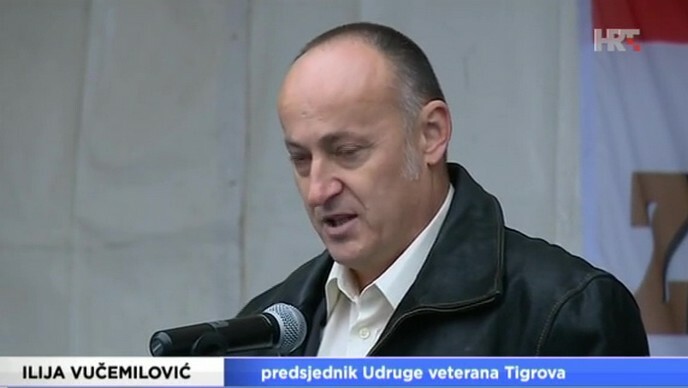 Orasje managed to defend itself from the Serb onslaught only to wake up on 31 October 2016, two days after Prime Minister Andrej Plenovic’s visit to BiH, and see 10 Croats (members of the wartime Croatian Defense Council in Bosnia and Herzegovina [BiH] also known as Bosnian Croatian Army) arrested for alleged war crimes in 1992 and 1993 against prisoner of war Serbian nationals; the other 18 reportedly charged with these crimes of varying ethnicity have disappeared off the face of the earth – cannot be found. 1992 was the time when Serb advances into Bosnian Posavina in the north and into central Bosnia in the early weeks of Serb onslaught against Bosnia and Herzegovina were reversed by joint Muslim and Croat forces. Croat population of Orasje remained loyal to the cause of the Bosnian government (defend the country against Serbs) and put up a stiff resistance to the Serbs. Croatian government and the rest of the political apparatus say they were totally surprised by these arrests in Orasje; that they never suspected anything like that could happen in the neighbouring, friendly BiH. But in reality, Bosnia and Herzegovina has for some time now been a melting pot of troubles to come as the 1995 ineffective Dayton peace agreement draws nearer the edge. 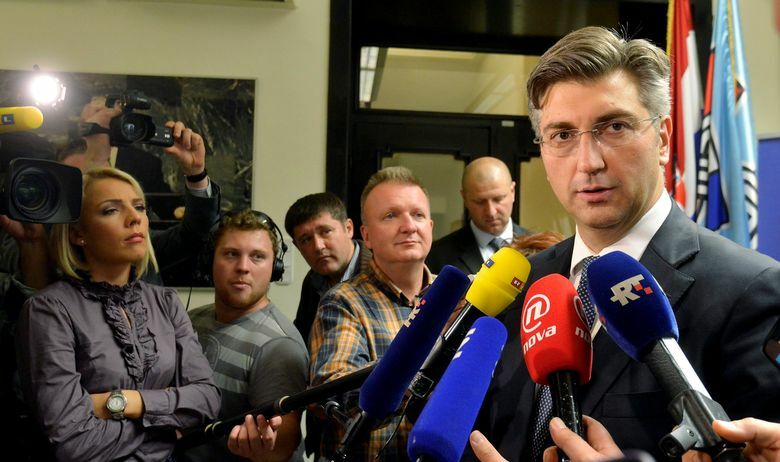 And indeed the Croatian Prime Minister Andrej Plenkovic has said that “the arrests have been in preparation for some time, but that their timing is indicative…Croatia has informed its partners in NATO and the EU about these arrests…” he said. Frankly, who cares what NATO and the EU, or anyone else, think today when the very credibility and the just cause the defense of Orasje from Serbian onslaught in 1992/1993 is at stake here. Attending a ceremony dedicated to Halal Day in Croatia on Wednesday 2 November 2016 Croatia’s president Kolinda Grabar-Kitarovic also expressed utter surprise at the arrests of the ten Croats in Orasje, saying that “Orasje is an area where Bosniaks and Croats fought together for their bare existence, for their self-preservation (being), for their lives, and their fight is a symbol of resistance against Milosevic (Slobodan) and Karadzic (Radovan) regimes.” She said that we need to wait and see all the facts or until all the facts of those alleged crimes are confirmed. Well then, president Kolinda Grabar-Kitarovic – why have you not withdrawn your Ambassador from Bosnia and Herzegovina as an interim measure of protest against this atrocious political hunt against Croatian nationals who only defended their and their children’s and families’ lives? Why has the BiH Ambassador to Croatia not been sent packing on a temporary basis until controversial issues to do with these arrests are ironed out with pure facts? This would particularly be an appropriate measure given that there are reported serious difficulties with the indictments or charges, suggesting political bias. Croatian minister for veterans’ affairs Tomo Medved said Saturday 5 November that the Veterans are bitter about these arrests “because of the selective application of the command responsibility in these cases. If they (Bosnia and Herzegovina state prosecution) perform certain investigations and if certain criminal acts are found to exist then certain or concrete individual perpetrators should answer for those criminal acts, but this type of approach of widely applying command responsibility is unacceptable.” Source HRT News 5 November 2016. And so, while Croatian president, prime minister or everyone else cannot meddle in the indictment for crimes issued in Bosnia and Herzegovina or in the Bosnia’s criminal justice system they can certainly bring in measures of disapproval as to the contents or ways of those indictments until pure facts are revealed. These measures to my view would be to send the Bosnian Ambassador packing from Croatia until matter resolved and withdraw the Croatian Ambassador from Bosnia until matter of facts and specific individual responsibility for each crime is clear. Considering some reports appearing in the media, the arrests are no surprise as the truth may well point to the fact that the Croatian intelligence services and secret police have under the Social Democrat, anti-Croatia communist government led by Zoran Milanovic and under president Ivo Josipovic, whose advisors appeared equally anti-Croat, in Croatia, purposefully engaged in hiding information as far back as 2014 that Bosnian state prosecution was investigating some 28 individuals in relation to wartime Orasje (and other places). Since President Grabar-Kitarovic expressed total surprise last week regarding the arrests one can assume that her predecessor Josipovic and his advisers passed on zilch information on the matter. One truly cannot but ascribe malice against Croatia in this. 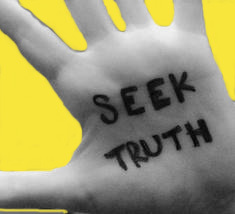 It is, furthermore, of no surprise that Bosnian Muslims have continued and will continue digging for possible indictments against everyone else for war crimes in order not to face their own horrendous, murderous actions during the war in BiH or to minimize the gravity of crimes committed by Bosniaks, which crimes still seem to evade full justice. They will forever protect the Mujahedeen and BiH Army forces that slaughtered thousands. Unless of course a significant number of war crimes indictments are thrown in their direction. Many believe there will be many more indictments against Croatian nationals as Bosnia and Herzegovina ponders on its future as a country where all three nationalities (Bosniak/Muslims, Croats and Serbs) have equal rights and representation in parliament regardless of their numbers. Bosniaks do not want to give up their self-imposed superiority over Croats in the Federation part of BiH; Serbs don’t want to give up their autonomy from others in their ethnically cleansed Serbian Republic entity. Funnily enough Ina, I was discussing this very subject with Kolinda – or “Kollypops” as I call her, just last night as we had an intimate dinner together in an exclusive and discreet hotel in Zagreb. She listened intently to my view for a good while and then said “My darling Whelkypops…will you show me your bottom?” I hurriedly made my excuses and left. A great and informative read as always Ina. What a mess BiH is. I didn’t realise how much so until my small time there in .sept, and your articles of course. I worry for Croatians there in the future, it doesn’t sound promising does it? What is bothering me is the utter kissing up to that dictator Erdogan by our President and he’s overseeing the construction of a Mosque in Sisak and this is not a good thing. Erdogan seems like a new Putin in that Putin is trying to remake the old Russian empire while Erdogan wants to rebuild the Ottoman Empire and we are playing into their hands. Any Croatia who trusts either Putin or Erdogan is playing with fire as Putin is backing the Serbs while Erdogan is backing the Bosnian Muslims and we Croatians are on our own. Who do you think is egging on Pupovac to act the way he does? or people like Nikolic and Vucic as well? …..and now we’re seeing what is happening in BiH to those that defending the Croatian population. 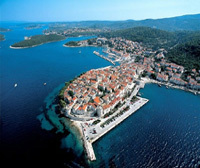 Ina, absolutely we Croatia proper should defend the rights of the Croatians in both Bosna and in Hercegovina. These are our people and our historic lands and we can go into detail about this but it would take a whole new article! The point is, it seems that the Croatian government is leaving these poor people to the wolves. We’re lucky that Hercegovina is a Croatian stronghold because it does have a majority Croatian population but its those Croatians in Bosna that are suffering the most and for no other reason except that they are Croatian. Did you happen to see the video of that Croatian woman who got on a tram in Sarajevo after a day at work and blessed herself as she sat down and a Bosnian Muslim woman attacked her for it? As I said, what is bothering me is our getting close to Ergoden and allowing a Mosque to be built in Sisak under his watch and his funding…same with one that was built in Rijeka by the Saudi’s, nothing good can come out of this and don’t get me started on what Putin is doing as well because he’s stirring the pot there by egging on the Serbs to do what he’s doing. Right now its sabre rattling but, you never know if that sabre rattling is nothing more than a test. Time for our government to start having some teeth and say enough is enough. As you pointed out, why not pull our diplomats out of BiH and kick the Bosnian diplomats out of Croatia as a sign of protest? Every Croatians biggest concern is how could Zoran Milanovic, Ivo Josipovic, any Croatian President or government official allow “unfettered” access to National Archives relating to military information to any foreign entity, without a record of approval and what was taken? This reflects heavily on the lack of respect all these groups have towards all Croatian soldiers alive or not. Up to this point you could some how understand the corruption, denial of communist massacres, non payment of wages, nepotism on all areas of society as they where traits of the old Yugoslavia that are difficult to erase. However, this is a new low for Croatia. Yes, as per general Rojs comments this week, this is not the time to be divided but united in the defence of our brave Soldiers. But soon after this, it’s critical that what occurred would be investigated thoroughly and the perpetrators prosecuted. How can the President and Prime Minister not know of these proceeding? It seems that the the Croatian Security Services are too busy keeping the Croatian Diaspora out of Croatia. Especially Diaspora that have relatives in lying in pits around the former Yugoslavia. It was the communists and former communists who didn’t want free Croatia in the first place that make up people like Zoran Milanovic, Ivo Josipovic, Stjepan Mesic…those who had the power to give the state secrets away – those who released such documents should be locked up and keys thrown away, splithead. Just terrible. Got some people here in the U.S. should be locked up and keys thrown away too Ina, and you probably know who I am speaking of. Hi Ina, I just read a blog “Soros/Serbia”–thoughts. I had reblogged it, but felt uncomfortable with it because I felt I wasn’t knowledgeable enough. I didn’t want my readers to think they were my words or opinions. Soros I believe is a monster…..evil against anything or people that are good. But there was mention of Croatia/Serbia history…..that I felt uncomfortable with. Not really knowing the history that well I didn’t want to reblog someones opinion that may be bias, off-base or worse misleading. I was really only interested in reblogging the evil of Soros. But I went back in and trashed my reblog. If you run across this post titled “Soros/Serbia” and you read, let me know what you think. I respect your opinion and always feel I can learn from you; you’ll be straight! I trust in you! Will do Arlin. I believe or opinions concur on Mr Soros or at least his political meddling and “steering”. I am breathless with outrage and sadness when I find his society funding some NGOs in Croatia etc – usually the ones digging a grave for independent Croatia and trying to resurrect old Yugoslavia… Money can be such a whore. Yes it can, and he is funding much of the protest/rioting here now…..again! From what I hear Soros is putting another puppet team together, since he lost with Hillary. One good thing, many people are wising up about Soros, he can only get attention seekers to follow him now. He is putting a team together of Senator Elizabeth Warren, Rev. Al Sharpton and Representative Nancy Pelosi; all who love attention. All people that can be controlled with the money carrot in front of them. Soros is about gaining more power by destruction. Keep in touch my friend!